First thing you need to do is creating an account on postme.io. Then create or import your public and private keypair to do any action on Postchain Keypairs on postme are generated using the EDCSA 58bits ... algorithm.. see Cryptography. In your account section you will find a keypair generator to create new keypair. An enterprise account is necessary to create a new application. As you are the first user to have created this enterprise account. You are the default contact for this company. 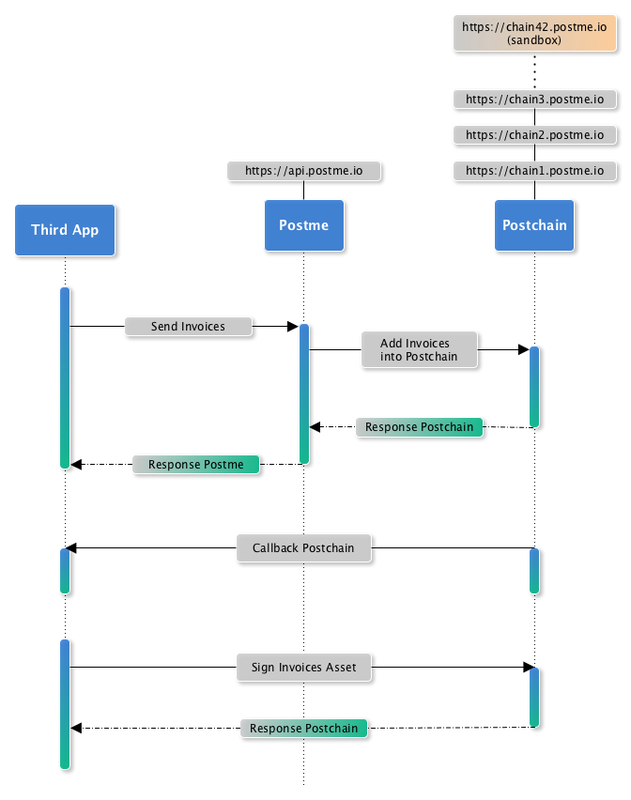 Then we create a CCO contract that is timestamped in Postchain. The checkbox indicating that the user is a corporate officer must be validated. The application will be linked with your company, allowing you to send your company’s invoices. If you want to send your invoices into Postchain over the Postme API with your own invoicing system. Once your application is created, you can generate App ID/key pairs to get API access. Then we create a CBS contract that is timestamped in Postchain. The checkbox indicating that the application is represented by the company. Necessary to send invoices from your customers.